When Taka Kigawa (above) performs, people take note. 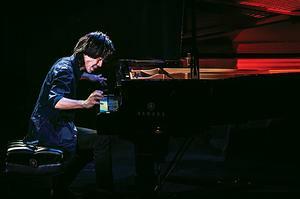 Called a “phenomenon” by The New York Times, Kigawa is one of the most celebrated pianists ever to come out of Japan. Having performed in such venues as Carnegie Hall in New York City and Severance Hall in Cleveland, Kigawa is known for drawing crowds with his unique style, which combines influences ranging from baroque to the most experimental elements of contemporary classical music. In his return to the Hammond Museum and Japanese Stroll Garden, Kigawa will be performing significant modern and contemporary compositions designed to challenge and expand the piano’s boundaries (and likely the way audience members view the instrument as well).